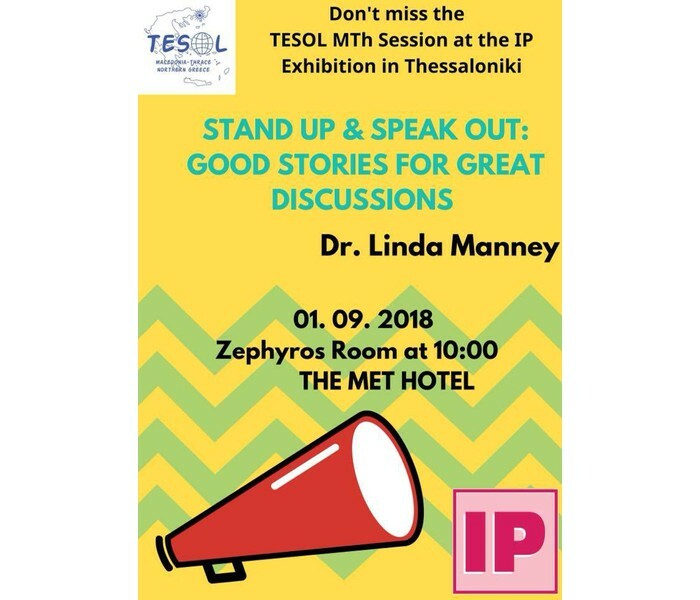 Dr. Linda Manney gave an invited talk at the International Publishers Exhibition Autumn 18, which took place at the MET Hotel, Thessaloniki, on September 1-2, 2018. In her talk, entitled “Stand Up and Speak Out: Good Stories for Great Discussions,” Dr. Manney presented a thematic unit she developed to teach personal ethics, empathy and compassion. First, she discussed the many benefits of teaching students to read literature, and cited current research to support her position. Next, she described some real-life situations which involve social problems and ethical dilemmas, and introduced literary texts which show similar situations. Dr. Manney also demonstrated some class activities which further explore important ideas in these literary texts. 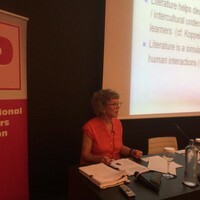 As she concluded her talk, Dr. Manney noted that reading literature contributes a lot to students’ overall mental development: reading stories helps students improve their reasoning abilities and language skills, and also stimulates their empathy for and awareness of other people’s problems.